One of the great thrills about traveling to California is visiting Napa Valley. 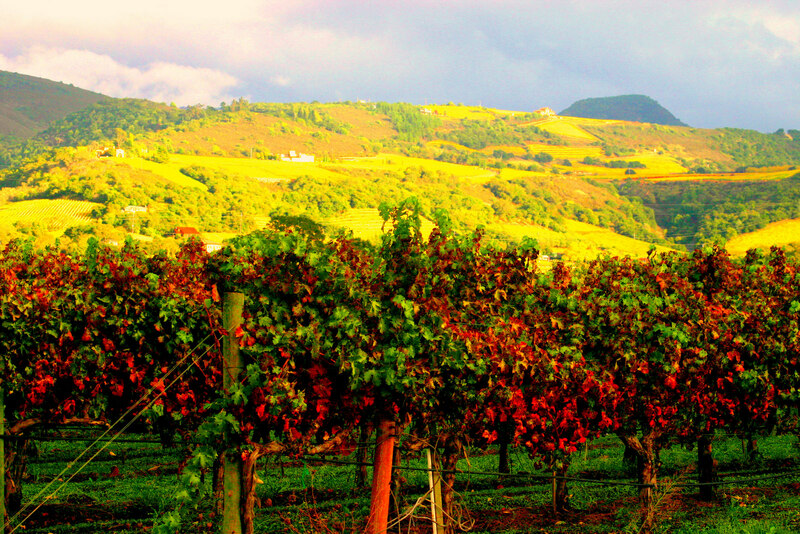 Northern California is dotted with wine vineyards known world wide for exceptional wines. However, don’t forget the lesser-known names which still produce an amazing array of tastes for the wine connoisseur. Napa Valley is just a few miles from the San Francisco Bay Area which makes it a good side trip when visiting the west coast for a holiday or even on a business convention. Once in Napa Valley, you’ll see that it’s a very wide space, covering several hundred square miles. One way to gain a perspective of the landscape and all of the vineyards it contains, is to take a hot-air balloon tour over the valley. You’ll get a better understanding of how important the wine industry is in California. Among the various vineyards you will see, you’ll also notice a number of Christmas tree farms. Whether you prefer a real tree from a local farm or one of the many non-organic options like artificial Christmas trees at Balsam Hill, the Napa Valley tree farms will give you many ideas about your next holiday tree and are a spectacular sight when visiting California. V. Sattui Winery is unique within Napa Valley. The beautiful landscaping of the grounds is a relaxing place to have a bite for lunch and enjoy a bottle of wine. Lush trees dot the area in front of the marketplace. Within the marketplace is a huge selection of wines and a deli with European flair. Picnic tables sit outside where you can relax and enjoy your purchase. In Yountville, you will discover the Ma(i)sonry Napa Valley Winery. The central feature is a stone building built from locally-mined stone and is on the National Register of Historic Places. This winery features a wine tasting room as well as an art gallery. The artwork is said by to be some of the best displayed in the San Francisco Bay area, as reported by Western Trips blog. This winery is full of history from the early days of California and Napa Valley. Start at the Bond winery near Yountville. Next, head to a country-style French lunch at French Blue in St. Helena. After an amazing lunch, visit the Gargiulo Vineyards for a glass of wine from this small family-owned operation. Located in a beautiful area, you may also hear the owner playing his guitar. Plan on an early evening meal at The Restaurant at Meadowood where you can leave the meal selection up to the chef. This will end a full day of memorable food and wine. If you have the time, though, consider visiting the historic train station in Calistoga. Just outside of the town are many vineyards. According to Western Trips blog, the train station is the second oldest in California and contains many artifacts from the “Iron Horse” era, including several rail cars that have been restored. Within the town of Napa, you can find Kenzo Estate, started by the founder of Nintendo. Cade Winery near Meadowood was recently recognized as an exceptionally environmentally-friendly winery. A new winery in Calistoga called Kelly Fleming Wines just opened under the direction of a pair of experienced California wine makers. Between Napa and St. Helena you’ll find Darioush with an incredible gift shop. It is difficult to mention all of the vineyards located in Napa Valley. Each one has a unique character and charm that it is likely to become a trademark for that business, if not already the case. Small families producing exquisite wines alongside some of the bigger names is the lure to Napa Valley. You’ll never know if the wine you’re tasting will one day be served on the menu of some of the world’s most elegant restaurants!